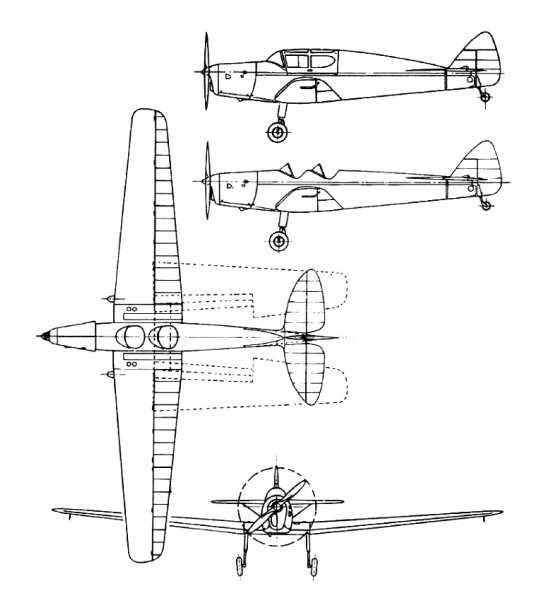 On 24 August 1931 the company had flown the only example of the de Havilland D.H.81 Swallow Moth, a low wing open-cockpit two-seater powered by a 60 kW (80hp) Gipsy IV engine. With production capacity filled by orders for various models of the Moth the project was discontinued, to be resurrected some years later when advantage could be taken of-some structural techniques used in the Comet and Albatross. Of wooden construction throughout, the prototype D.H.94 Moth Minor was first flown by Captain Geoffrey de Havilland at Hatfield on 22 June 1937. Unlike the earlier Moths, it was flown from the front seat, and incorporated a large perforated air brake under the centre section. Production followed and by the outbreak of World War II 71 examples had been completed, including nine Moth Minor Coupe aircraft with built-up rear fuselages and hinged cabin tops. 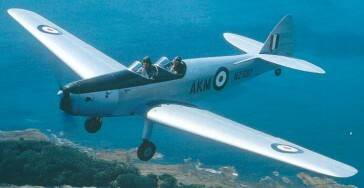 Over 100 had been built by September 1939, but early in 1940, when Hatfield's production capacity was required urgently for aircraft more vital to the war effort, the Moth Minor drawings, jigs, components and finished but undelivered airframes were delivered to de Havilland Aircraft Pty Ltd at Bankstown, Sydney. More than 40 were supplied to the Royal Australian Air Force. The total production was about 150. Five were impressed by the RNZAF 1940-46 for general duties.